Have a bit of sunshine for you Wednesday! 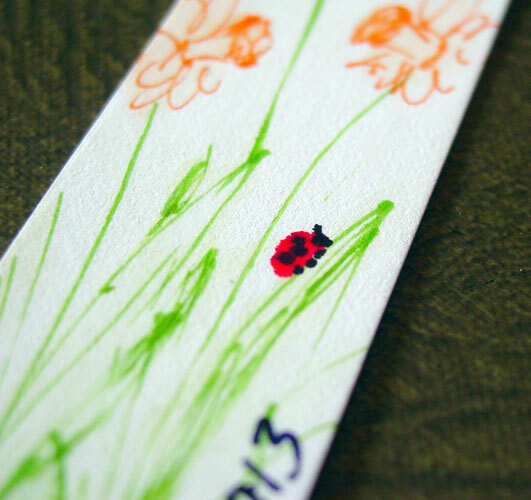 This cheerful little bookmark is done entirely with Japanese colored fountain pens on a coated archival inkjet paper. I used a waterbrush to add just a tiny bit of blue shading to the sky, green to the leaves and gold to the flowers by blurring out the ink, but as you can see the coating keeps it from being anything but a very soft, subtle background glow. 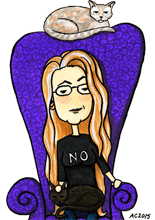 This cheerful little bookmark is quite small, perfect for a paperback. Daffodils Bookmark, 1″x4″ pen & ink on paper, nfs (sold). 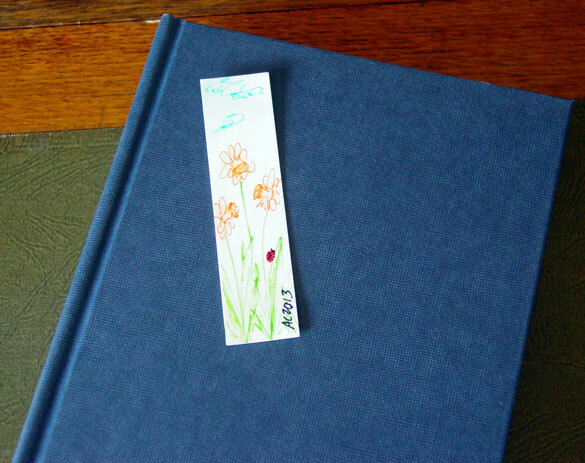 Above, you can see the cute little ladybug adding a bit of delight to this bookmark. Below, you can see it atop a hardcover book, for scale.